Installation of soil-cement-bentonite cutoff wall 1,550 feet in length to an average depth of 15 feet with an 80 mil HDPE vapor barrier. Value engineered the use of overlapping HDPE panels instead of using more expensive interlocking panels. 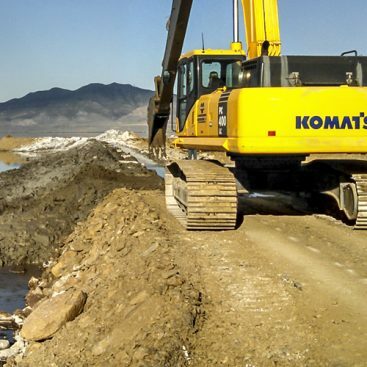 Site had a limited work area necessitating off-site preparation of backfill and delivery to work area using small dump trucks. 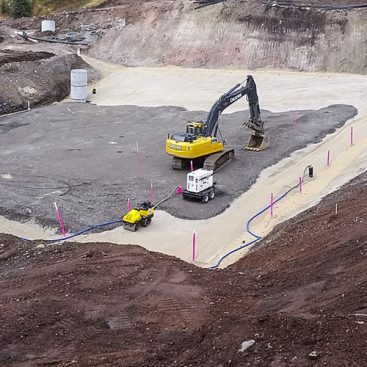 As part of the initial phase of a large-scale development project, Geo-Solutions was contracted to install a soil-cement-bentonite cutoff wall with HDPE liner vapor barrier around the existing municipal landfill. 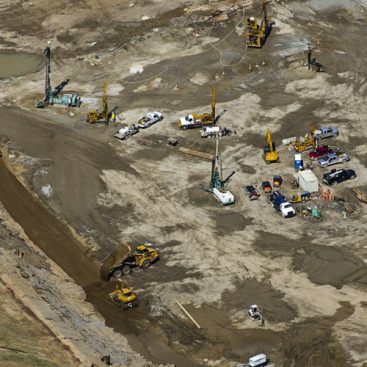 Geo-Solutions installed approximately 23,000 square feet of soil-cement-bentonite cutoff wall. The trench was excavated using the bentonite slurry trenching technique to an average depth of 15 feet. Trench width was limited to only one-foot-wide to minimize the quantity of backfill required. 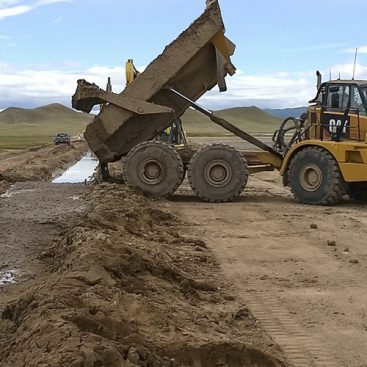 Due to site constraints, backfill was prepared in a remote location using imported soil and delivered to the trench via small dump trucks. Also incorporated into the cutoff wall was an HDPE vapor barrier. Geo-Solutions installed the 80-mil HDPE liner in overlapping panels in lieu of interlocking panels. Panels were overlapped five feet to ensure continuity of the barrier even with moderate movement during backfill activities. This method of construction was accepted by the engineer and incorporated into the design for the Phase II portion of the cutoff wall. 40-mil liner was fusion welded to the trench panels and extended along the work pad surface, terminating at a gravel-filled trench containing slotted PVC pipe installed as a gas-vent system.